Happy spring! Are you ready to feel your best, lose weight and shake off the cobwebs of winter? If so ? you are not alone. This newsletter is loaded to the brim with information to get you there. 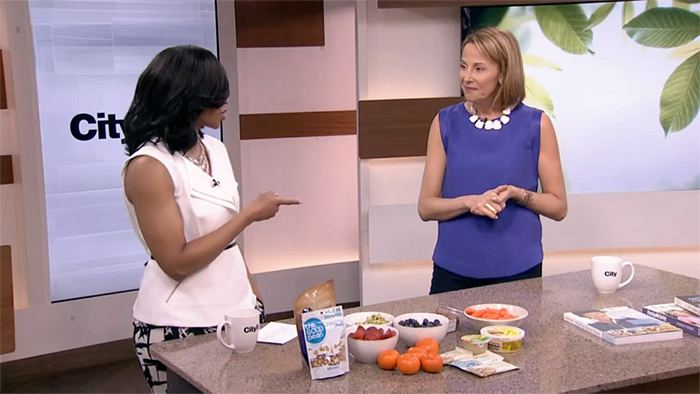 For a little inspiration, watch the Cityline clip below. By sticking to program, our 4 weight loss winners have lost over 111 pounds in just 3 months! When it comes to our newsletters we spend hours brainstorming behind the scenes. Each month, my goal is to provide you with the very best information to take your health up a notch. With that being said, this edition of the Dr. Joey newsletter contains products to keep you alkaline, recipes to keep weight down and energy up and some new health rules that may surprise you. SHULMAN HEALTH PASS HAS ARRIVED! Don't forget ? Mother's day is just around the corner. If you are wondering what you should give your mom this year - why not give the gift of health? 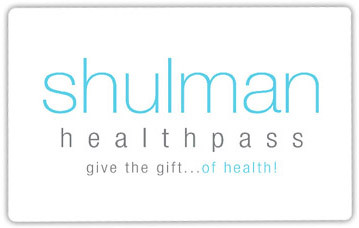 Shulman health passes are now available and can be used towards any program, product or 1 month health and wellness package. To order, simply email inquiries@shulmanweightloss.com or call 905.889.5326. We have all heard how healthy leafy greens are for you. Part of the enormous health benefits are due to chlorophyll - the green pigment found in the leaves. Available in most health food stores, liquid chlorophyll will enhance your digestion, increase your energy, gently cleanse your system and support your immune system. 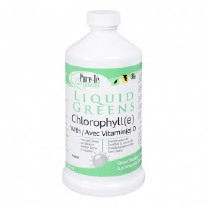 Loaded with essential minerals and intensely alkaline, chlorophyll also helps to promote regularity. To top it off, research has also shown chlorophyll to be helpful in weight reduction and cessation of cravings. Do not be scared to put oil on your skin! 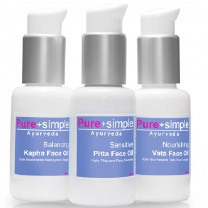 Each night, I apply Pure and Simple's nourishing facial oils for a deeply hydrating effect. Created based on your ayurvedic dosha (i.e., vata, kapha or pitta) each one is specific to your skin type and is nourishing, hydrating and has a beautiful, subtle scent. To learn more about ayurveda and to determine what your dosha is, click here. 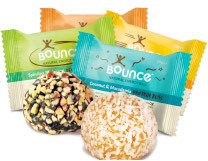 If you want a convenient way to eat health food on the go - Bounce Energy Balls are for you! Delicious and high in protein these snacks satisfy your hunger and keep you feeling fuller for longer. Flavors include Coconut & Macadamia Protein Bliss, Peanut Protein Blast, Almond Protein Hit, and Cacao Mint Protein Bomb. 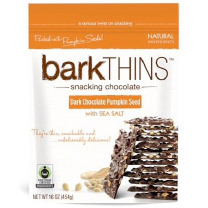 If you are a chocolate lover, you will want to know about Bark thins. Bark thins source the finest fair trade chocolate from sustainable sources to make these delicious, dark chocolate treats. Filled with nutritious, non-GMO ingredients like nuts and seeds the delicious flavor options include dark chocolate almond with sea salt, dark chocolate mint, dark chocolate pumpkin seed (my favorite! ), and blueberry quinoa with agave. Organics Live is offering Dr. Joey newsletter readers a 10% discount on their first box... just enter the promo code DRJOEY at checkout. GIVEAWAY ALERT! One lucky winner will win 5 large Organics Live boxes filled with 100% certified organic fruits & vegetables (a $285 value!) You will receive a 5-week subscription to Organics live service and will be able to customize your box each week. Bon appétit! Add cooked quinoa as base at bottom of bowl. In a small bowl combine lemon juice, olive oil and sprinkle of salt and pepper. Whisk together and add over quinoa bowl. Toss until well coated. Sprinkle with hemp hearts and enjoy! Brush with BBQ sauce or 1 Tbsp olive oil and BBQ until cooked through and no longer pink (about 20 minutes). In the food processor, add in almond or peanut butter, coconut sugar and coconut oil; process until it comes together, about 1 minute. Add in eggs and process again. Then add in coconut flour, baking soda and salt; process again until a dough forms. Use a cookie scoop to drop dough onto prepared cookie sheet. Bake for 8-10 minutes or until cookies turn slightly golden brown around the edges. Allow them to cool on cookie sheet for at least 5 minutes, transfer to a wire rack to finish cooling. Repeat with remaining dough. The rule is a minimum of 2-3 servings of greens per day nutrient rich and calorie light! Eat until you're sufficiently sufficed. Take time to eat your meals to allow your brain to register that you are full (20 minutes per meal is recommended). In order to stay optimally hydrated, ensure you are drinking 8 glasses of water per day (that's about 2 L). Swap your second cup of coffee with an herbal or green tea! Grains tend to be one of the hardest foods for our bodies to digest. Try going grain free for a week (or alternating grain free days) to help boost weight loss. Walking, swimming or yoga a minimum of 3x per week is recommended. 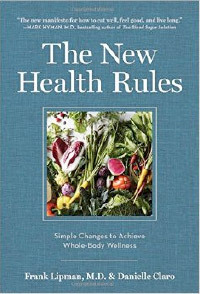 The New Health Rules wades through the often contradictory information that bombards us daily and delivers more than 100 actionable tips that will improve every aspect of our health body, mind, and soul. You will learn simple rules for getting a good night's sleep, why a daily dose of sunlight is crucial, and which toxic cosmetics and kitchen products should be tossed. Dr. Frank Lipman and Danielle Claro teach us which foods help prevent Alzheimer's, why sugar is so destructive, and how to bring "good bacteria" into the digestive system?providing an arsenal of easy-to-process tips and guidelines to make us stronger, healthier, and happier. SHULMAN WEIGHT LOSS SUCCESS OF THE MONTH!